March 2018 was +0.89 °C warmer than the average March of the 1951-1980 period. 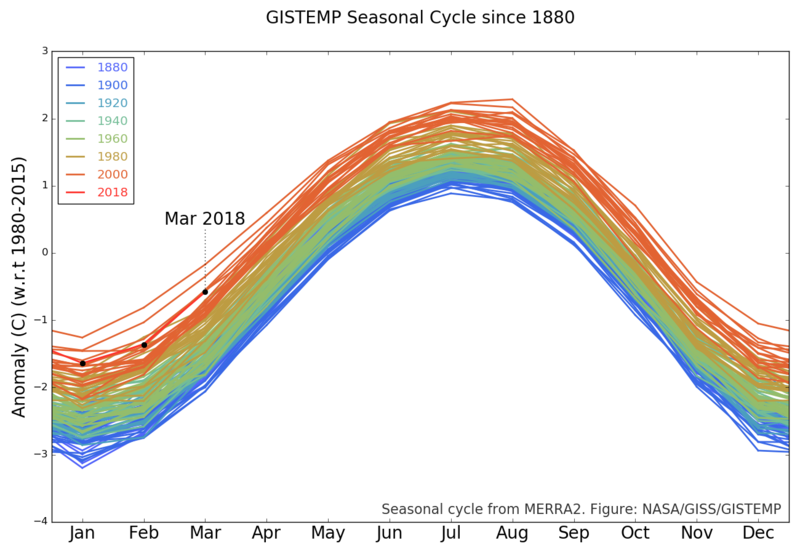 This value is lower than the two hottest years of the record — March 2016 (+1.30 °C) and March 2017 (+1.12 °C) — and is comparable with the years 2002, 2010, and 2015, which cluster tightly around +0.9 °C. The corresponding number for all other years in our 138 years of modern record-keeping is at or below +0.77 °C.